We initially invite women to respond to a series of questions* and through their answers we attempt a mapping of the concept of home. The meetings happen at the homes of those involved, and in social spaces (neighbourhood assemblies) in Greece and abroad. 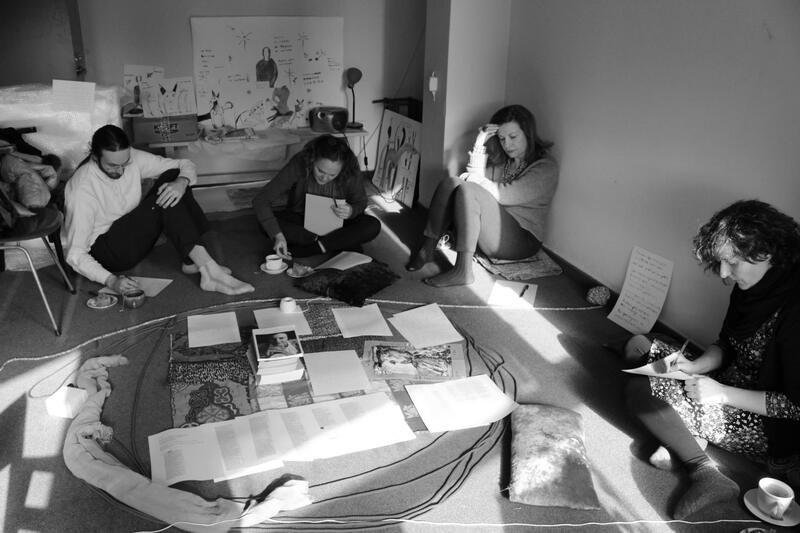 During this time, women share thoughts about home as an experience, memory, as a lived space, as something we leave behind, and which is in constant flux. We read texts by authors such as Virginia Woolf, Emily Dickinson, Elif Safak; we make notes in coloured papers and we ask each woman to bring a piece of cloth. 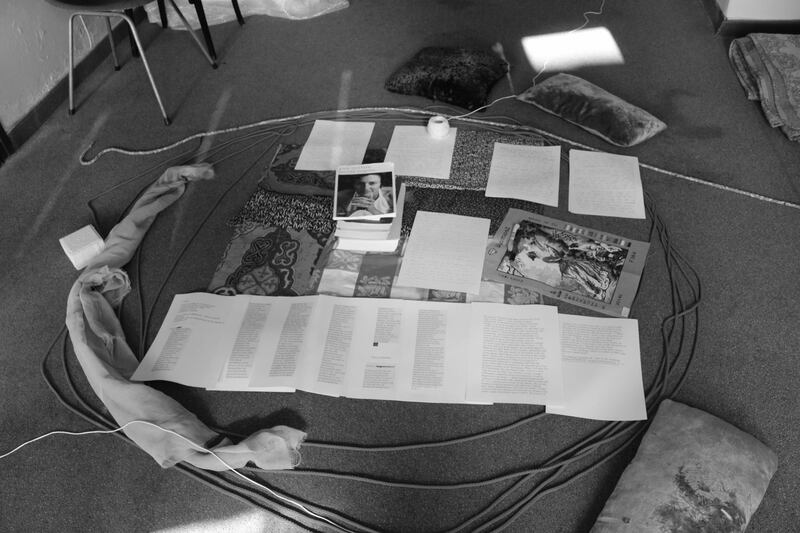 The material from the actions-performances, from online, and the meetings will compose an installation. 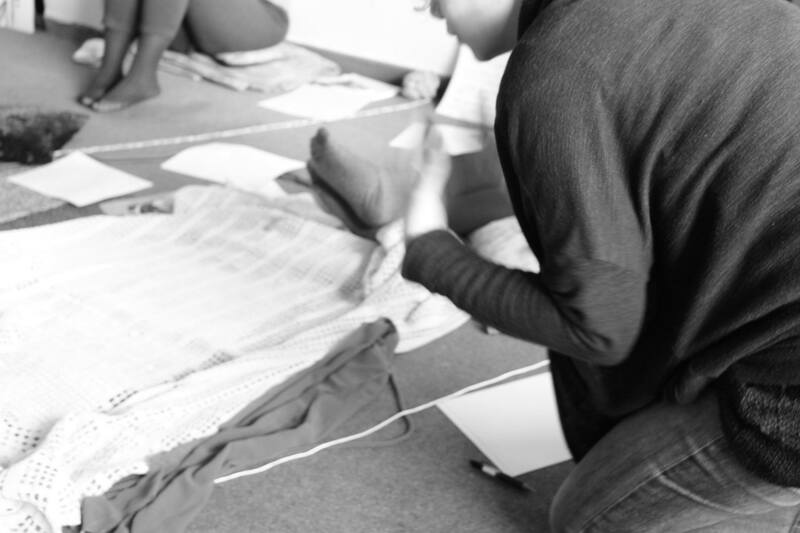 Fabrics, maps, threads, are decisive in shaping the space. Do you feel at home in the place you live now? If so, why? If not, why? If you have left your home behind, do you think about it? What do you miss about it? Do you have something with you from it? Have you ever experienced violence in your home? By whom, how did you deal with it? Can you bring / send to us a piece of fabric that for you is about home?